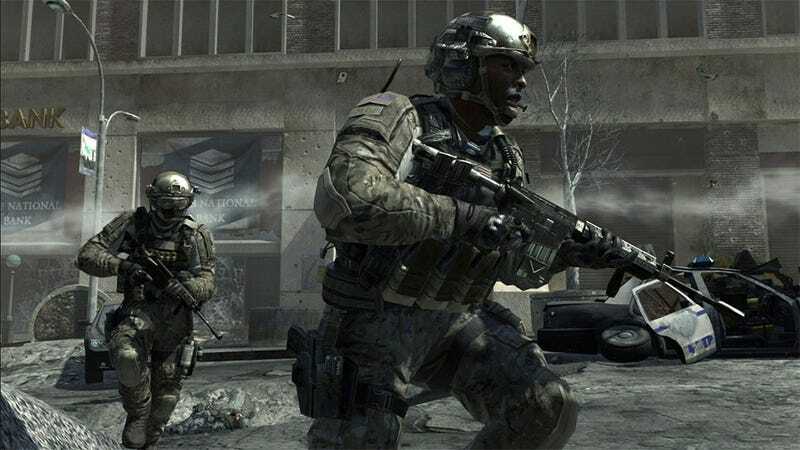 According to a report on Siliconera, next year's Call of Duty game will take place in the same universe as Infinity Ward's Modern Warfare titles. The site's source, related to the game's voice acting, is the same one who accurately leaked a ton of Sleeping Dogs info over a year before that game's release, so this is at least worth thinking about. We've got KVA on the move! They're going to strongpoint the main gate, ETA two mikes! We're providing support for our heavy rollers! Ready up and let's move! Goliath, this is Sentinel Zero One! We have enemy armor at the gate, hundred meters north of our position! Requesting close-air grid mark three-one-six! None of which means a whole lot, though if it really is set in the Modern Warfare universe that would be a very disappointing lack of imagination (and bravery) on Activision's part.